I had several recipes in mind for today, but I had to put them all on hold and do one more green recipe. I can't help it! It's the week of St. Patrick's Day, and I'd feel too Scrooge-ish (and a bit guilty) if I didn't. Funny story about this recipe. I went to our local Ridley's (it's a small one) to grab a key lime pie yogurt, and they were totally wiped out! 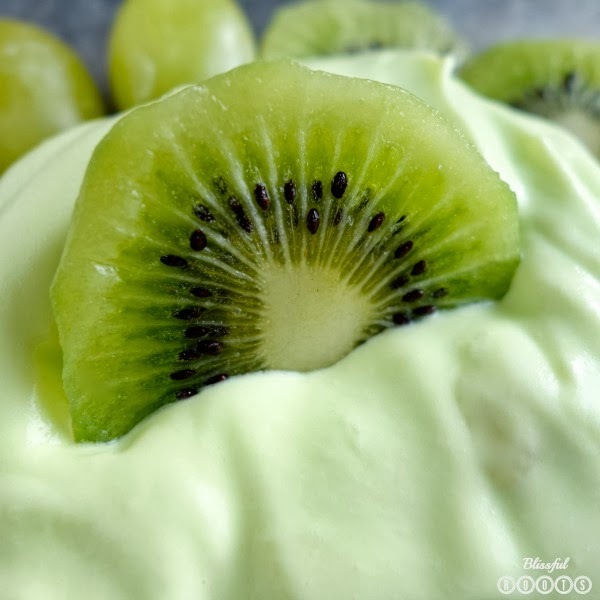 I was in desperate need for pictures, so I improvised, and opted for pina colada yogurt (Western Family brand) and added green food coloring. I'm kind of glad they were out of the key lime pie. I love the key lime pie, but the pina colada turned out to be delicious! So, you can use either for your St. Paddy's Day food. I really should quit prefacing my recipes like this, and just mention the ones that don't come from her, (which would be far fewer) but this recipe comes from my sister. She made it the last time we were together, and my boys devoured it! I devoured it! I loved the flavor, but even more I loved how easy it was. I have several fruit dip recipes, and I love them all, but some are a bit of work. This one has two ingredients! Simply fold the Cool Whip into the yogurt one big spoonful (I used 2 spoonfuls for my 6-oz. container of yogurt) at a time until you've reached your desired flavor. Cut up your fruits, and serve with the dip. That's it! And of course you can use any fruit (bananas, oranges, strawberries, etc…) I just mentioned green ones for St. Patrick's Day. 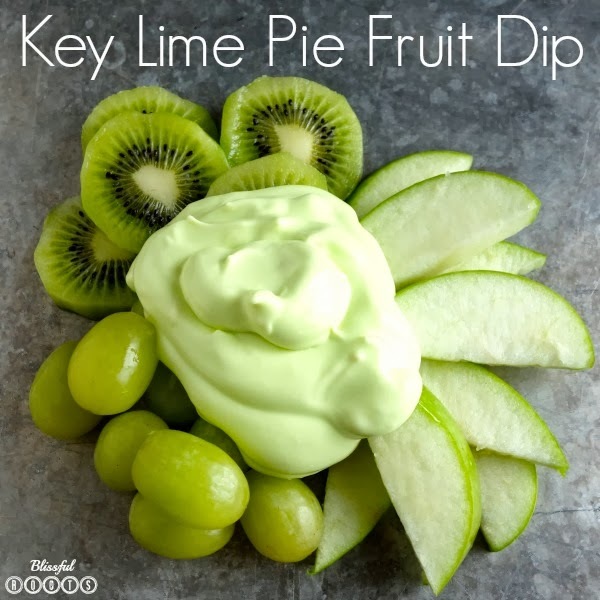 I love to put together a green breakfast for my boys on St. Patrick's Day morning, and that usually involves key lime pie yogurt, but this year we're going to mix it up a bit, and do the key lime pie fruit dip. 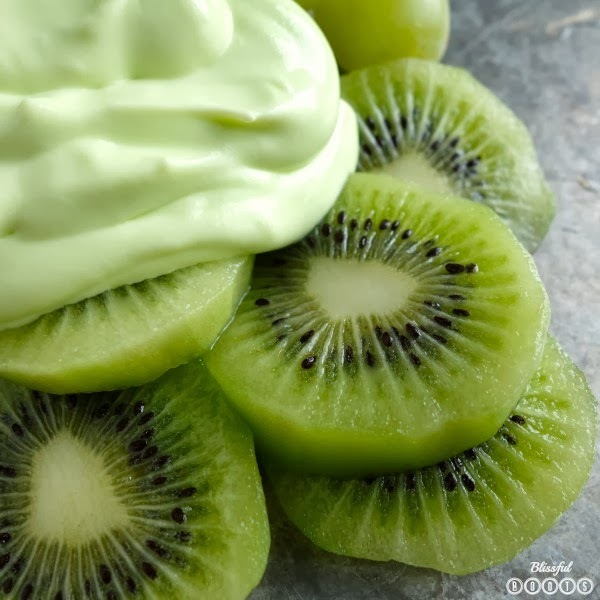 And after all the green inspired foods have died down in a few days, try experimenting with other yogurt flavors. We've done it with the orange creme yogurt, and it's amazing as well! It's a very yummy fruits . I like it so much and thanks .